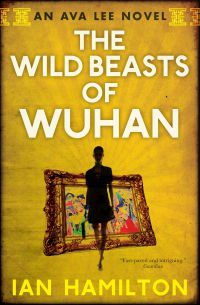 In The Wild Beasts of Wuhan, Uncle and Ava are summoned by Wong Changxing, "The Emperor of Hubei" and one of the most powerful men in China, when he discovers that the Fauvist paintings he recently acquired are in fact forgeries. Ava uncovers a ring of fraudulent art dealers and follows their twisted trail to Denmark, the Faroe Islands, Dublin, London, and New York. But the job is further complicated by Wong's second wife, the cunning and seductive May Ling, who threatens to interfere in Ava's investigation. Will Ava find the perpetrators and get the Wongs' money back? Or will May Ling get to them first . . .